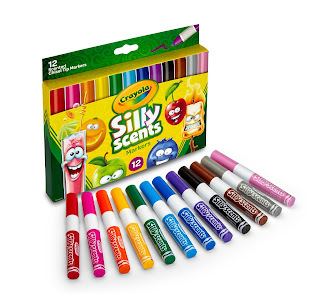 Right now you can get this Crayola Silly Scents, Washable Scented Markers, 12 Ct for ONLY $3.99! Silly Scents combines a fragrant scent and colorful markers. Comes in a delightful character pack. These washable markers comes ready to scribble and sniff it's non-toxic scents.